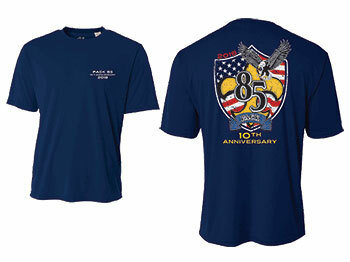 Limited Edition Navy Blue 10th Anniversary Shirt The shirts are navy blue with a custom 10th anniversary design. The short sleeve shirts can be ordered in Dri-Fit or cotton and the long sleeve are 100% pre-shrunk cotton only. 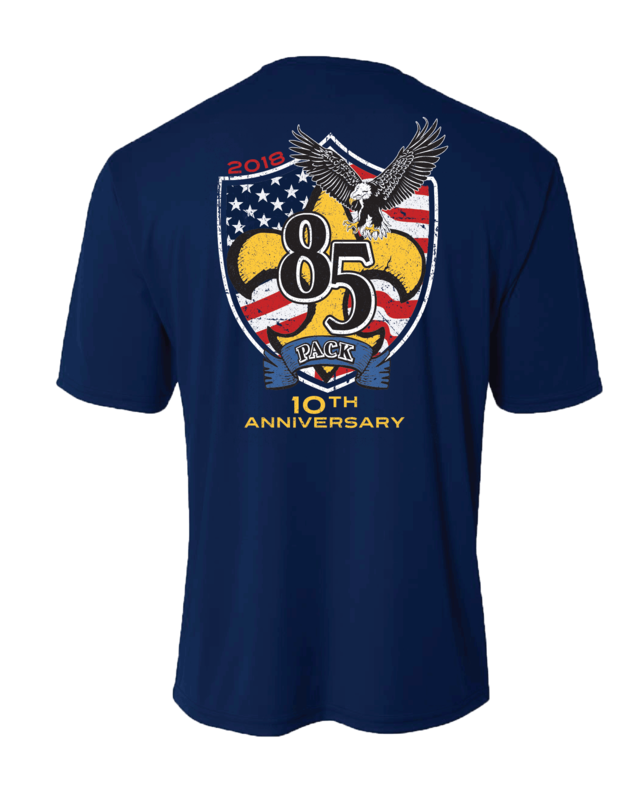 The pack provides one short-sleeve Dri-Fit shirt to each registered youth scout at no cost and it is ordered separately. We will be wearing the t-shirts on Pack outings when uniforms are not required.